PALEO JAY SMOOTHIE CAFE: Paleo Quick Tip of the Day 87- Your water is slowly poisoning you! Paleo Quick Tip of the Day 87- Your water is slowly poisoning you! Here is the thing- your water is probably poisoning you, slowly but surely! Unless you have a good source of well water on your property, that is free from farmer fields runoffs of pesticides and chemical fertilizers, you are dependent upon city water. This is water that your city or town has come up with a plan to treat, whether it comes from a municipal well or from a large, polluted lake (like in Chicago!). And when I mean “treat” your water, I mean that they dose it with chorine, fluoride, and the recently added Chloramines, which are a combination of chlorine and ammonia. Chloramines, now being added to nearly all municipal water, are so strong that they can dissolve your very pipes and fixtures, and release heavy metals into your water. Lots of problems here! Fluoride is particularly troublesome, and something I really hate being purposefully put INTO our water supply! It is supposed to prevent tooth decay, but like the flu shot, and the low fat high carb diet, there is absolutely NO SCIENTIFIC BACKING TO THESE CLAIMS! And the downside is really bad. It can effect your thyroid, cause “fluorosis”, which is an unsightly discoloration on your teeth, affect your bones as well, and make you more prone to cancers, dementia, bone fractures and arthritis. Believe me, this is only the tip of the iceberg here... ONLY the USA puts this poison fluoride purposely into their water, of all developed countries! It really has no positive effect on dental health, despite the hype. Now, if you are like me, this makes you physically sick to hear this stuff, and you want pure water! Understandable. The most important thing to get, though, is not a drinking water filter, it is a shower filter. I know, sounds counterintuitive, doesn’t it? But it is true: Chlorine is a very strong disinfectant, and so can cause a lot of toxic issues for humans. Like an increased risk of kidney, rectal, and bladder cancers! Asthma, and a general weakening of the immune system are other high risks of chlorine exposure. Ironically, breathing in this chlorine, while bathing or showering, is dramatically worse than drinking it! So, for a “most bang for your buck” type of approach, get a shower filter that filters out this chlorine. 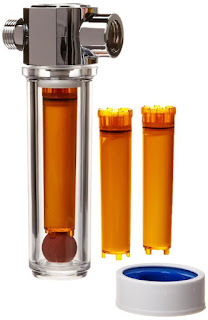 Vitamin C works well for reducing chlorine, and so a Vitamin C shower filter is a great option. In addition, this type of filter also removes chloramines, which are even more damaging to your health! There are also some excellent whole house chlorine filters, but these start at around $1500 or so. 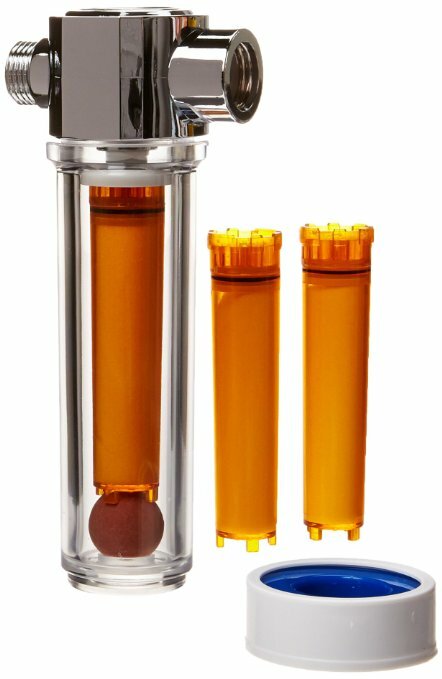 Best bang for the buck is definitely a Vitamin C shower filter- you can pick one up on Amazon for around $60. You also get refills of Vitamin C in replaceable canisters, and then you will really be protecting the health of yourself and your family! Personally, I have well water, and so have a reliable source of pure, untainted water. But if you rely on city water, get yourself a filter! 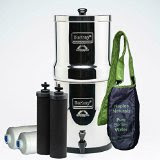 And to neutralize fluoride in the water that you drink, get yourself a Berkey type of carbon block filter. This type of filter is so powerful that it can purify water from any random stream, and make it pure and chemical, sediment, and bacteria free! A great health, and a great preparedness tool.